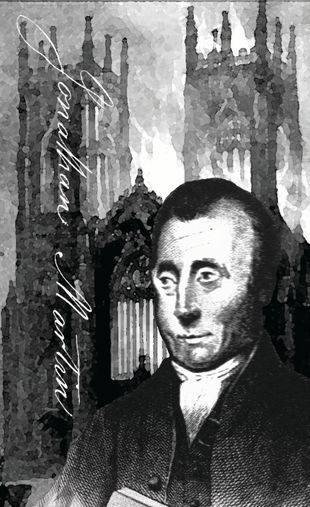 Jonathan Martin (1782-1838) from High Side, near Hexham, has gone down in history as 'the notorious incendiary' of York Minster. Six years in the Navy (both the Royal and the Merchant) when he was present at the Battle of Copenhagen, gave him a love of roving “which prevented him from settling down to regular employment”. A passionate religious fervour led him to indulge in frequent fits of rage against the clergy, coming to a head with his plot to assassinate the Bishop of Oxford and resulting in his committal as a lunatic at West Auckland and Gateshead Asylums. Eventually released, after two escapes, he travelled to York where he issued dark warnings to the 'Clargy', accusing them of going to plays and balls, playing at cards, and drinking wine. In the early morning of 2nd February 1829, he set fire to the Minster and was later confined in the Royal Bethlem Hospital (Bedlam) where he died in the same year that his son Richard committed suicide.